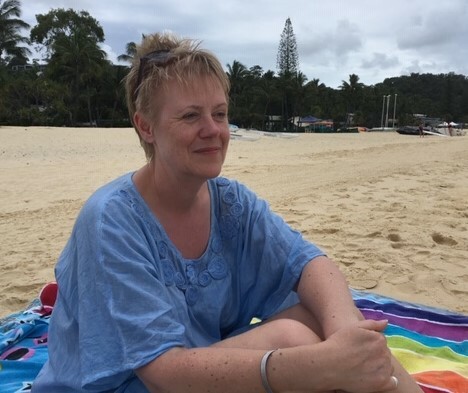 So you might think I’m crazy writing about beach wear in March, but bear with me…..! 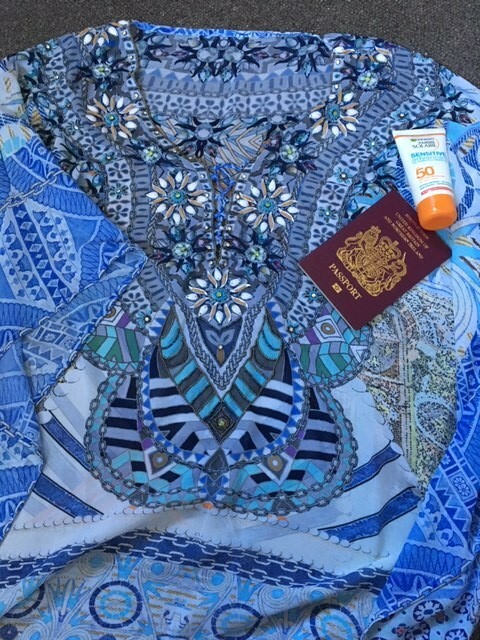 If you are lucky enough to be going away to somewhere hot and sunny for Easter or in the next couple of months, it is always a challenge to find beachwear in the shops. At the end of November, we booked a last minute trip to Australia for Christmas and the New Year. The ONLY place I could find any new swimwear was online. I went into a huge M&S on 18th December to be told that they’d removed all the bikinis to fit in yet more dressing gowns!! Luckily I had been contacted by UK Swimwear who offered to send me some beachwear. I chose two beautiful beach cover ups, which worked fantastically with the bikini I did find! 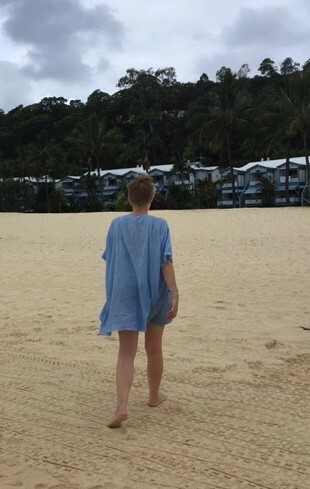 This sparkly poncho from Pia Rossini made me feel very glamorous and it was great to wear some glitz on the beach. I had previously worn it out in the evening over a white vest top and trousers. What beach wear to choose? As Brits I think we often neglect our beachwear. We agonise over our bikini or swimsuit choices and then panic when we realise that we have to get from our room to the pool/beach! So we just stick on a pair of shorts and a t-shirt. All okay so far, but what happens when you want to go for lunch or back to your room? You are now all wet and sandy so struggling into those shorts becomes a nightmare. Or you end up getting changed under your towel and flashing to everyone on the beach! After many years observing what Continental women wear to the beach, I realised that the answer is a beach cover up. This could be a dress, kaftan, sarong, tunic or kimono – something easy and loose to wear over your swimwear. Most of these items are also lightweight, so don’t take up much room in your suitcase and dry quickly. However, do choose your styles carefully, depending on your body shape. If you are pear shaped or hour glass, look for something fitted at the waist – a tie or elasticated waist or a sarong. If you choose a kaftan ensure that it is transparent and doesn’t end at the widest point of your thighs. For all other body shapes kaftans can definitely be your friend. You can get patterned cover ups to match your swimwear or something plain that will work with everything. To ensure that you get maximum usage some cover ups. Kimonos, dresses or sparkly kaftans, can be used for evening wear or sightseeing and then as beachwear. 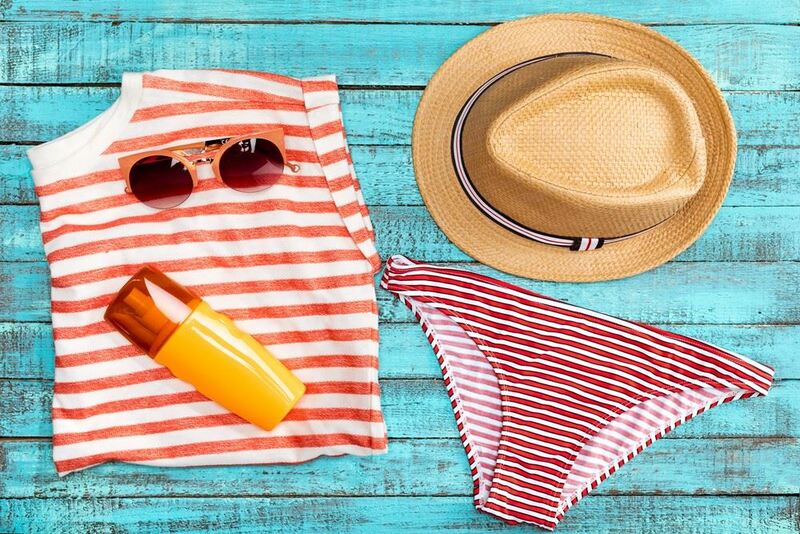 So plan ahead and ensure that you have 2 or 3 of these versatile items in your suitcase the next time you hit the beach. Great article Gail. I like the kaftan which you can wear easily at the beach or anywhere else. Great post Gail and good timing! Brilliant article, thank you. Off to the shops, newly inspired to find some sparkly kaftan or tunic!